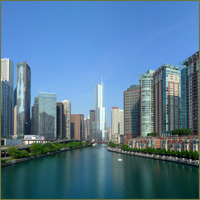 If you’ve never been or have been many times, Chicago is a lovely place to visit! The Community Partnership on Aging Travel Program will journey to the Windy City this fall, from September 30 th – October 2nd. Explore the local architecture, Millenium Park, The Bean, Navy Pier and The Magnificent Mile on a guided tour that will include an interactive dinner at Tommy Gunn’s Garage. This trip includes strenuous activity and walking up to one mile each day and is recommended for active older adults in good physical condition. A deposit of $100.00 is due before July 30th. For full itinerary and fees, please call our Travel Office at (440) 473-5138.